Whether you are just re-entering the world of dating, or you just want to know how to increase your confidence, communication, and connection with a man, this event is for you. This workshop is unique in that it is designed specifically for you and your soon to be new friends! If you're tired of dating unavailable men, disappearing men and players. Or, you’ve had your business and success in life on the front burners and romantic relationships on the back burner. The intimacy of this semi-private setting of new friends allows us to go deep and touch on the challenges that all of us face in the dating and relationships world. Space is limited to 8 participants. This is the unique feature of this event. About the presenter: James Allen Hanrahan is a highly sought after dating and relationship coach for smart, strong, and successful women based in Los Angeles. 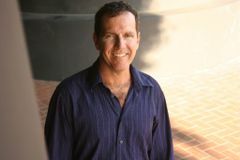 He is the author of two books "A Life of Love" and "Dating Advice for Alpha Women” and the creator of the widely acclaimed “Circle Of Friends” Dating & Relationships workshop groups, held online and in Santa Monica CA.